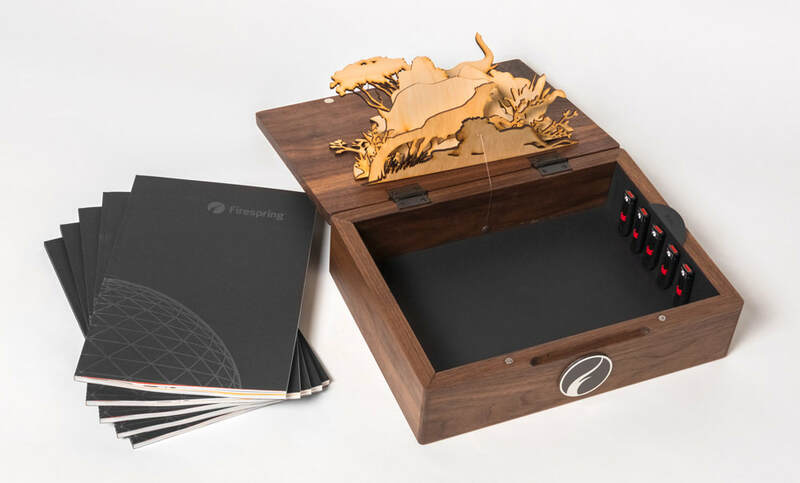 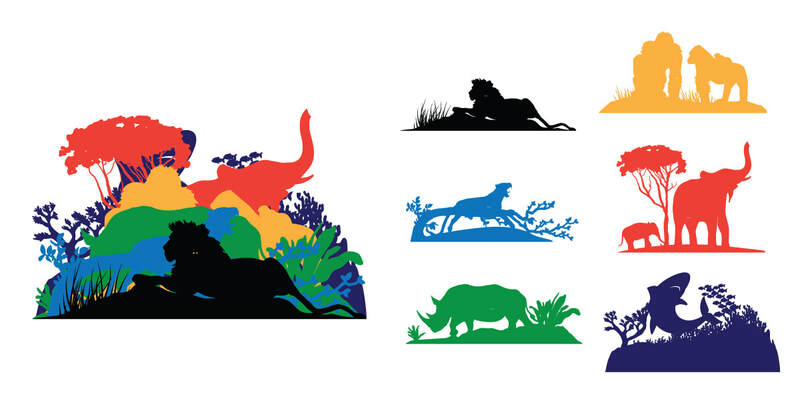 As part of a presentation to Omaha's Henry Doorly Zoo, Firespring asked me to design a complete package to contain 5 booklets and 5 USB drives. 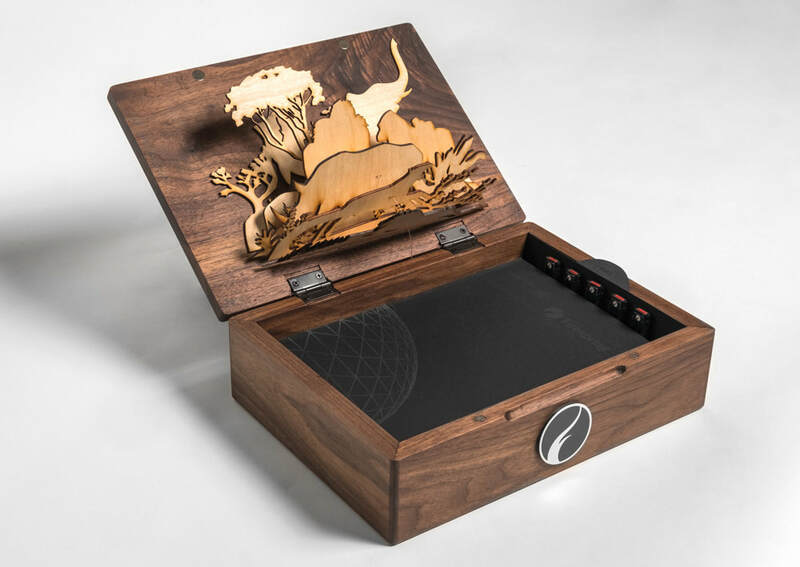 I created an interactive box designed to tie in with a set of perfect-bound books with a black-on-black clear ink design on the cover, as well as a slipsheet liner affixed with 5 branded USB drives. 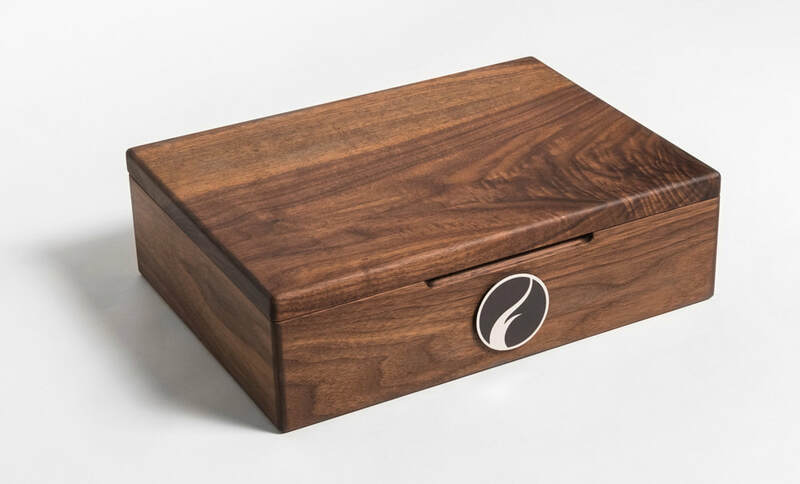 This gorgeous walnut box was designed from scratch and hand-crafted specifically for this project. 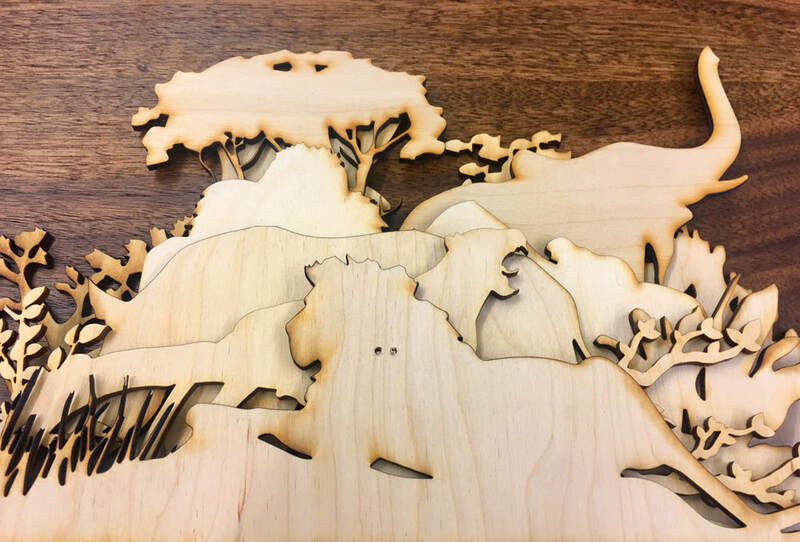 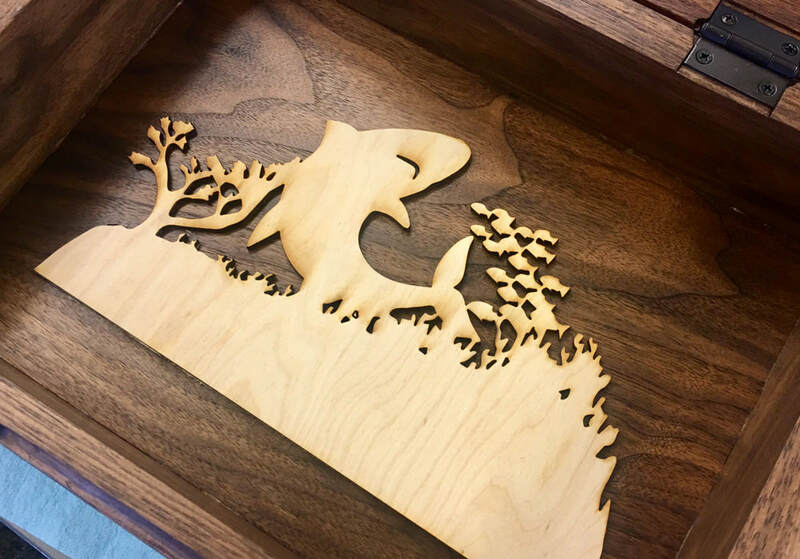 I also designed the animal silhouette shapes, laser-cut them from birch wood, and created a fishing line pulley system that would allow them to fan apart as the user opened the box lid.